A beautiful vintage preserve pot and underplate by Royal Winton in the Hazel Chintz pattern which was first introduced around 1930.� The backstamp on this particular piece was used between 1930 and 1934. It is in excellent condition, having no repairs, chips, cracks or stains, but has minor crazing which is typical for�a piece of this age. 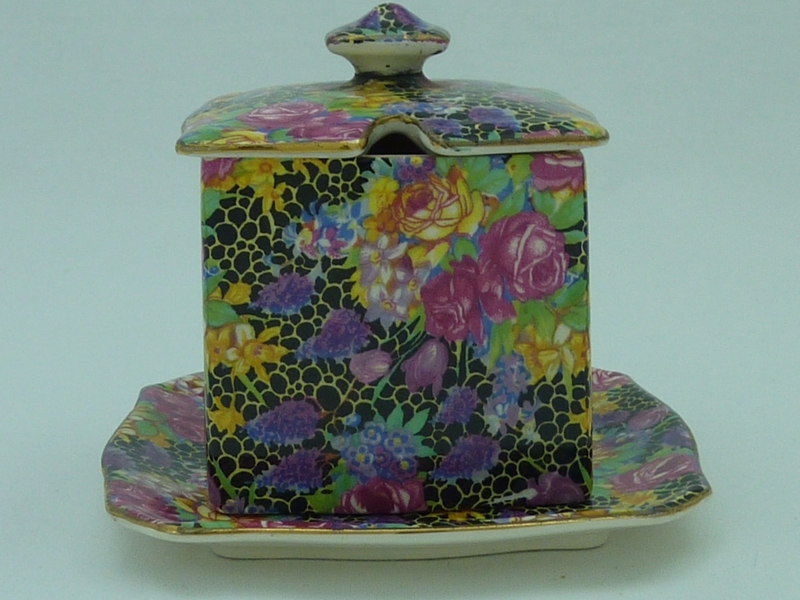 The gold trim has some minor wear.� The colours are bright and vivid and this preserve pot displays brilliantly.